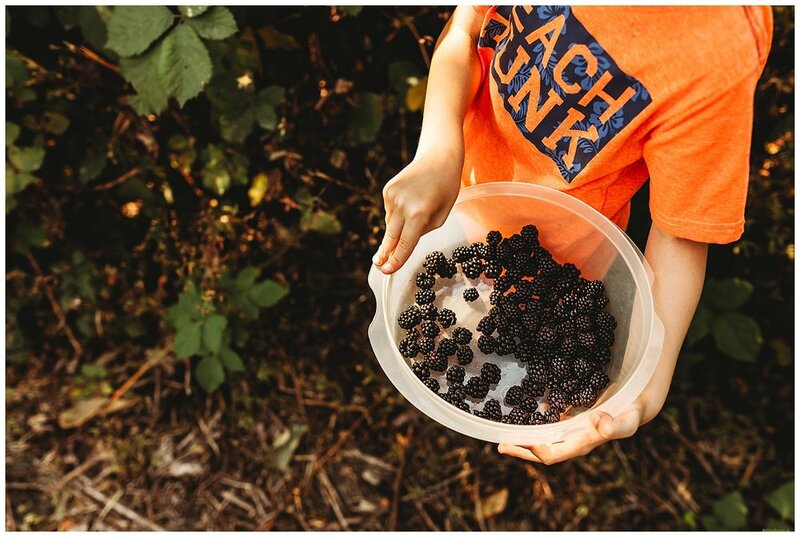 It's that time of the year, blackberries are ripe and ready for picking. We went out for a walk along the river and picked a whole bunch. We've already made blackberry pie with a batch of berries dad brought home from work, so this time we decided to pick a bunch to make some blackberry ice cream. 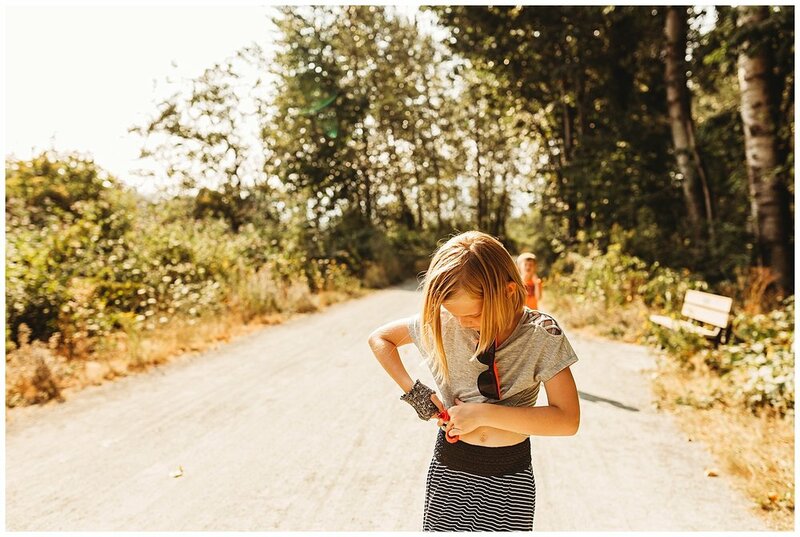 The day we picked berries, it was almost 40 degrees out, very hot. We tried to stay within the shady areas of the trail. 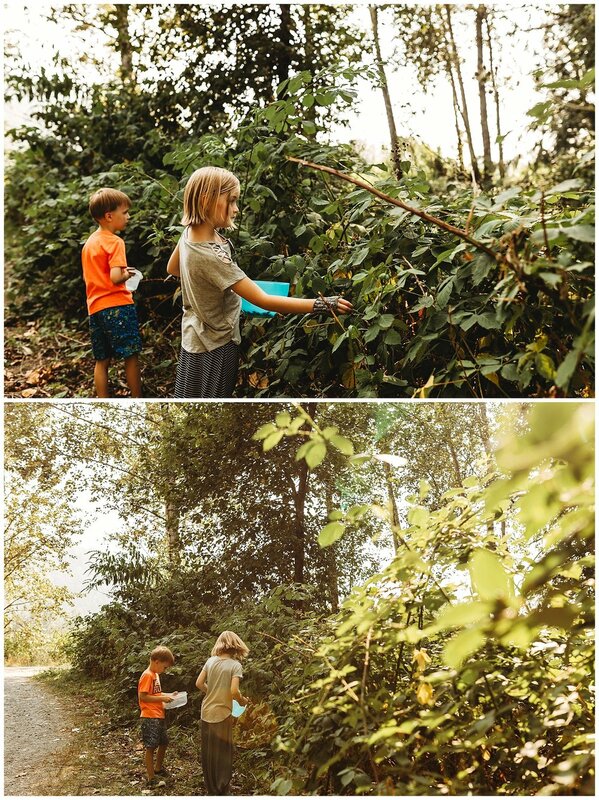 I think we picked close to a couple pounds of berries, and the first thing the kids wanted were blackberry smoothies. After washing all the berries we worked on creating the ice cream, things seemed to be working, but in the end it didn't turn out much like ice cream at all. At least the flavour was delicious. This blog post is part of a monthly circle, head on over to Nikki’s post here and check out her 10 on 10.